Forever my mother (and grandmother) have bought dried figs for Christmas. I’ve tried them, several times – and plain don’t like dried figs. 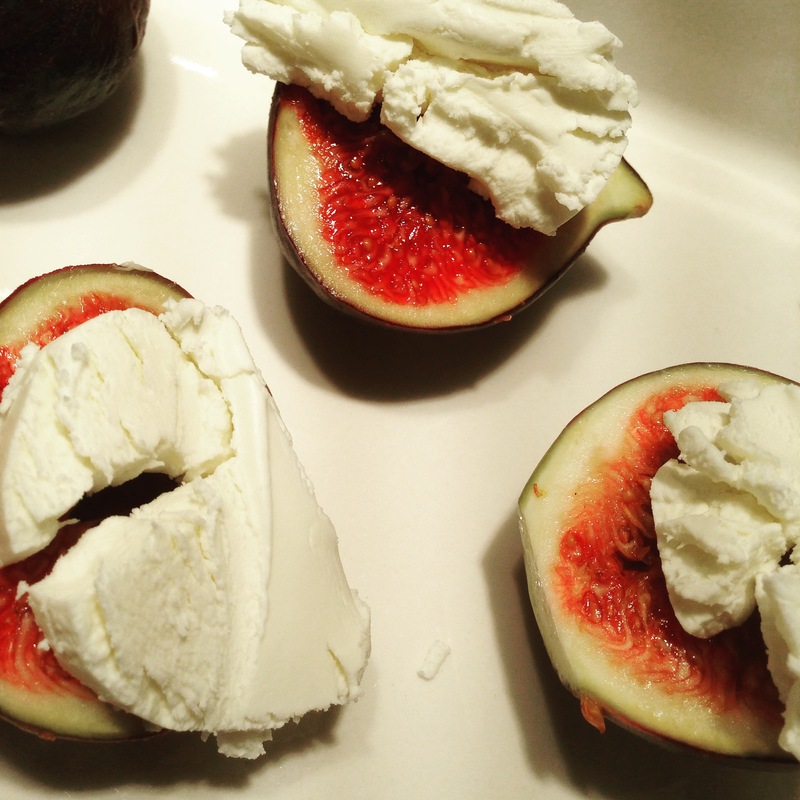 This week, I was tempted by a box of fresh figs at my grocery store. Laid enticingly next to the check out counter, I fell for the trap and put them in my basket. Plus, technically an adult and trying new things is probably a part of that. Then I made this – which may have changed my opinion on figs. Warm, cheesy, saucy and sweet… Yes, please!